Marlon and Tiffany had no problem letting loose in front of the camera. 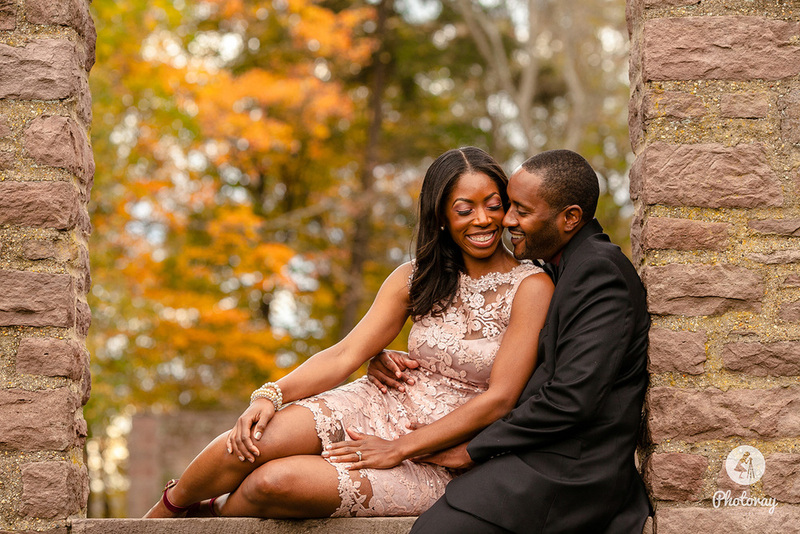 They thoroughly enjoyed themselves during their Fall engagement session and I had a blast too. Marlon and Tiffany's story is so sweet and you can see just how much love they have for one another. 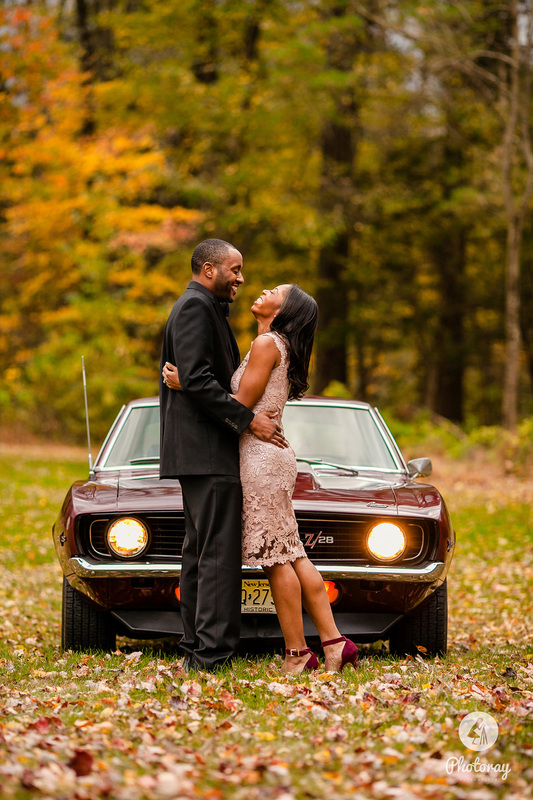 Tiffany shared with me that her father had passed away but that he was a car lover and she wanted to honor her father by incorporating his vintage car into the engagement session. One of his Tiffany's father's closest friends drove the car all the way from southern NJ to Bucks County, PA and the end results were priceless. I can't wait for Marlon and Tiffany's wedding next summer at the Hamilton Manor, it's going to be a day to remember.